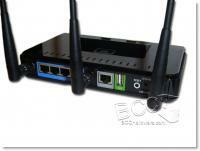 D-Link is a well known name in the networking business. This company has been around since 1991, and has provided cost effective network solutions for both home and corporate users. For the most part, networking equipment isn't really that new or innovative, but a few months back D-Link released an updated router to their Gamerlounge line that takes home networking to the next level. The DGL-4500 provides users with a Gigabit wired backbone to their home network and makes wireless streaming of HD content possible thanks to the 802.11n wireless capabilities of this router. 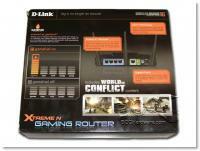 D-Link has kept with the times and upgraded their original wireless Gaming Router the DGL-4300 with a few new features, updated Quality of service engine and a faster wireless network. The DGL-4500 still has 4 10/100/1000 base Auto MDI/MDI-X ports that provide a full duplex Gigabit network for your wired connected computers. It now features D-Links Xtreme N Duo wireless network that uses both 2.4GHz and 5GHz bands to reach out farther and faster than before. 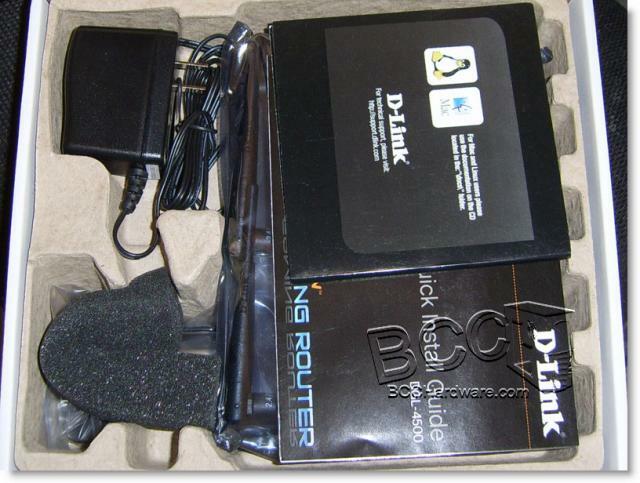 Another thing that D-Link has preserved is the advanced routing capability that is generally only available with hacked firmwares or on full Linux systems. For instance, if your ISP blocks the popular port 21 for FTP and port 80 for http, you won't be able to host FTP or WEB servers from home. D-Link has overcome this obstacle and allows you full port-forwarding so that you can broadcast FTP on another port and the router will forward that to the proper port on your internal network. Sound confusing? It's actually quite simple as you'll see in a little bit. Lastly, D-Link has packed the firmware of this router with some of the most advanced packet-prioritizing software available for a consumer device. This technology is called GameFuel, and it is supposed to drop ping from your games and make them lag free. We'll see. The DGL-4500 is the evolutionary result of the DGL series of products from D-Link. 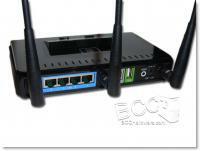 Its predecessors were the DGL-4100 (Wired Only) router and the DGL-4300 Wired/Wireless router. 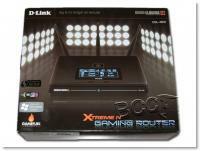 True to Gamerlounge style, D-Link has packaged this router in a nice flashy box that will certainly catch you eye when it is sitting on the shelf. I'm not sure how much they spent on designing the box art, but it's pretty special. The DGL-4500 comes with absolutely everything you need to get up and running quickly. It comes with a power cord, network cable, manual, software CD with manual, a stand, mounting screws and three reverse SMA antennae for the wireless N network. All you need is an internet connection to plug into the 10/100/1000 WAN port and you're good to go. That's right this beast supports up to 1000b WAN. Hopefully that is the future of internet here in Alberta and I'm able to get in on it. The DGL-4500 has basically the same footprint and dimensions as other D-Link products, but doesn't have the stacking feet that previous D-Link routers have had. The finish of this unit is rather slick and instead of a matte finish like the other DGL-4x00 routers have had, the DGL-4500 has a glossy plastic body that shows off fingerprints a little too well. Most of the time fingerprints on a router are a non-issue, but with the Network Activity Display (NAD) on the DLG-4500, you're going to be touching this router a little more than most routers. One thing that may not be immediately apparent from the image above is that there is only a single LED on the front of the router. The only LED on this unit indicates power, and the rest of the information has to be accessed through the NAD. This adds a whole new level of class to the unit - although it may not be as handy to glance over and see if your wireless network is up and running. 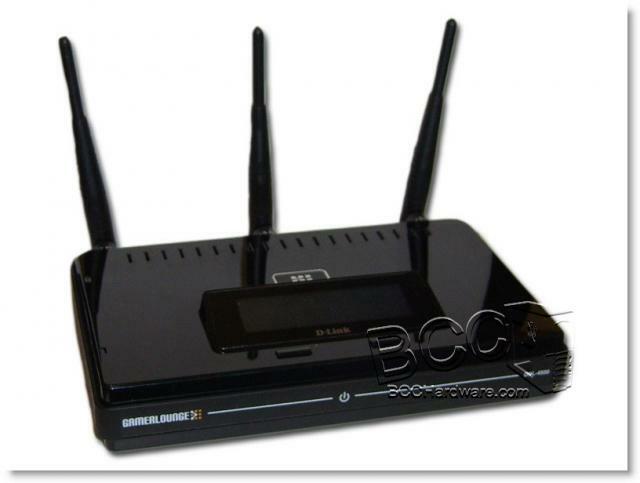 As is standard with Wireless N Routers, there are three antennae on the back of this router and they use standard RPSMA connectors. If you need a little more power, you'll be able to easily add stronger ones in place of these. Also on the back of this unit are four 10/100/1000 ports for your LAN as well as the 10/100/1000 port for your WAN. There is also a USB port for (Windows Connect Now) and the standard power input and reset button. On the next page we'll carry on with the features and specs before we take a look at the Network Activity Display.